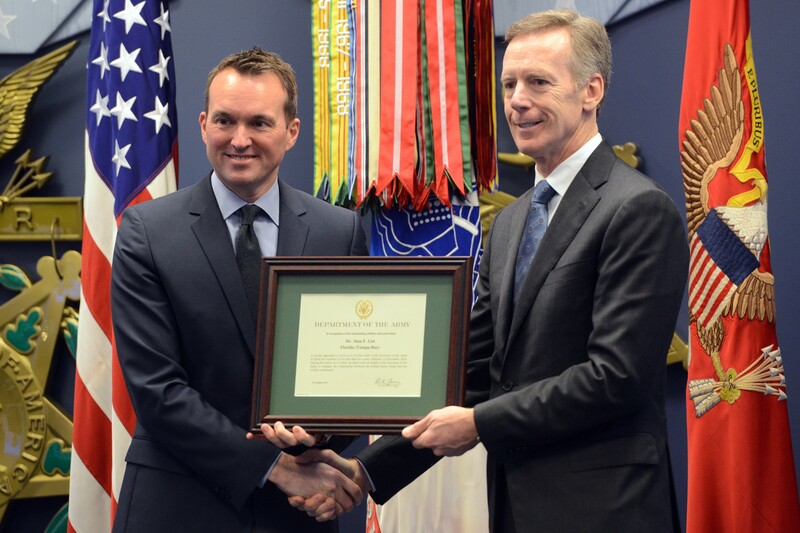 WASHINGTON (Army News Service) -- Secretary of the Army Eric Fanning swore in nine new civilian aides to the secretary of the Army, or CASAs, Monday, in the Pentagon Hall of Heroes. 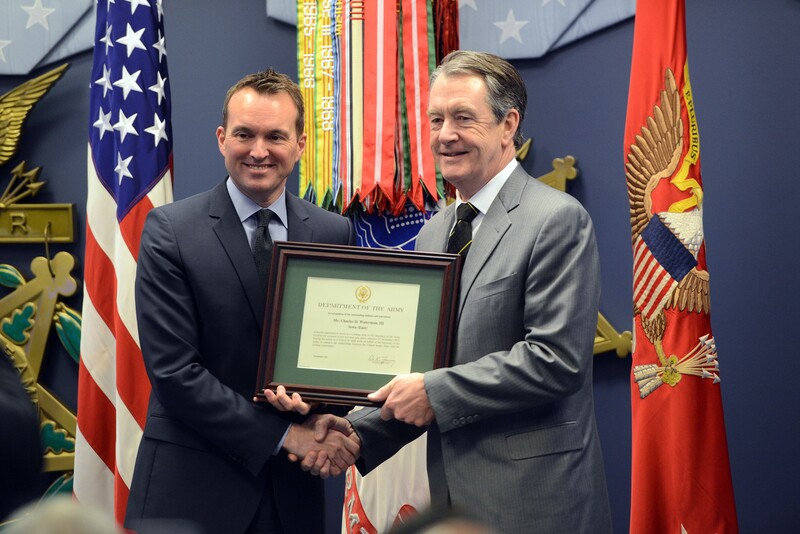 In his remarks, Fanning called the CASA program a critical link between the public and the military. 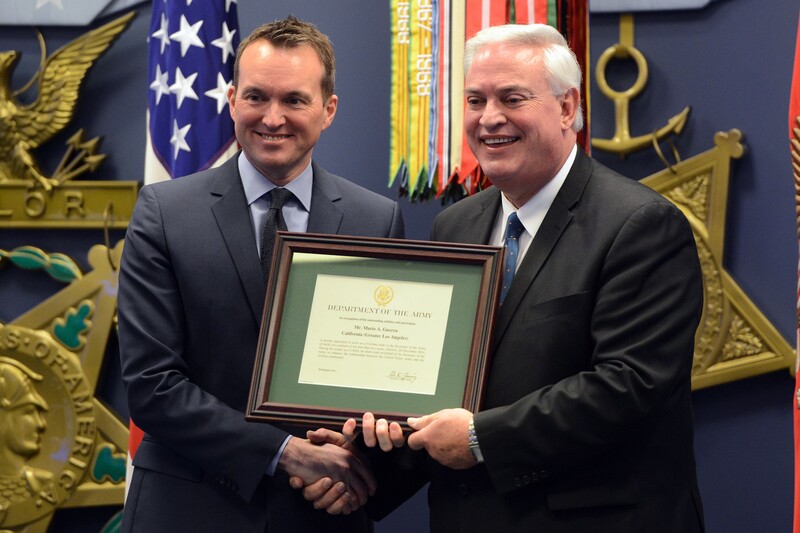 CASAs, he said, promote understanding of the military's role in America life at a time when a divide is growing between those who serve and those who are protected. The CASA program is as important today as it has ever been, Fanning said. CASAs serve in regions around the United States and territories as liaisons between their own communities and the Army, through the secretary. "We are the sum of our Soldiers, Civilians and their Families, and their collective contributions," Fanning said. "[But] the Army is only as strong as our connection to the American people. Our CASAs are our front line of maintaining and strengthening that fundamental bond." 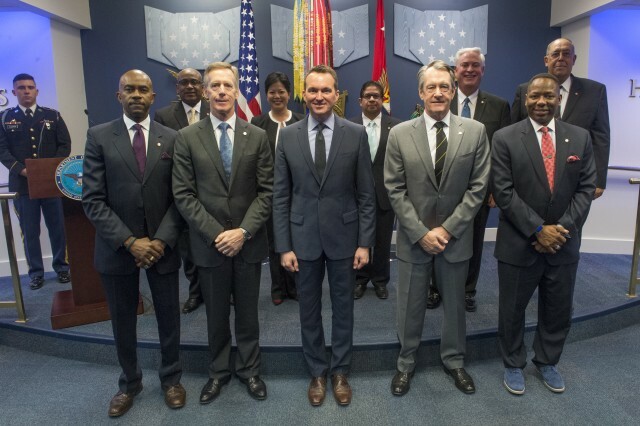 The appointment of the nine new CASAs raises the total number to 105, all of whom represent the secretary's priorities within their civilian communities, ensuring the Army story is told -- even in areas that lack a strong military presence. 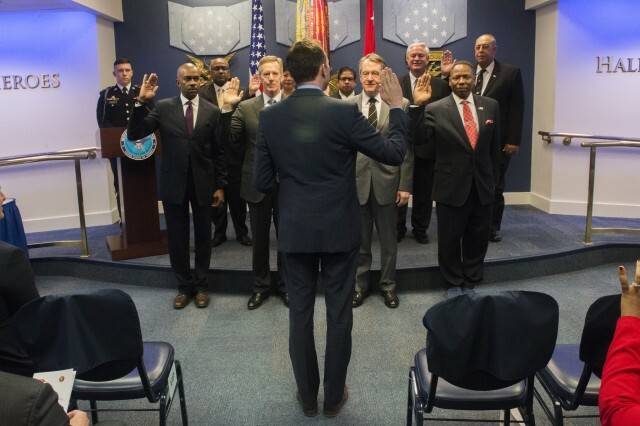 After being sworn in as one of the newest civilian aides to the secretary of the Army, retired Army Lt. Gen. Russel L. Honoré said that returning to the Army was like coming home. 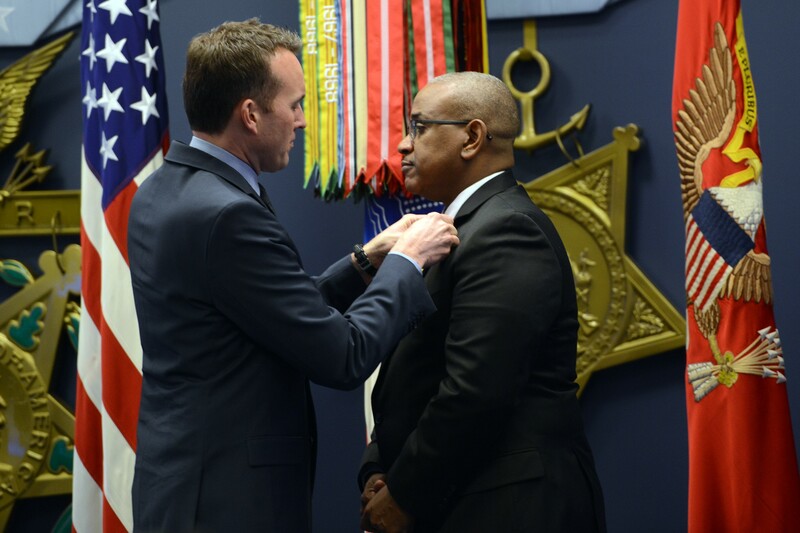 "It's like fitting on a good pair of shoes," said Honoré, a veteran who is widely known for his efforts at the helm of Joint Task Force Katrina, the 2005 interagency operation that organized relief efforts along the Gulf Coast in the aftermath of Hurricane Katrina. "It's a good fit," he added. Fanning reminded his audience that, during his time as secretary of the Army, he has made diversity a top priority. The nine new CASAs he appointed, he said, were emblematic of the nation's diversity and the level of diversity needed in the Army. "Both our nation's history and the best scientific studies show that diverse teams are the most effective teams," he said. "And it is diverse teams that we need to build as an Army to confront the complex challenges of the 21st century." Janet Chin, a former Soldier who served in the signal corps on active duty and transitioned into the National Guard, was among the new CASAs sworn in. She will go on to serve in Los Angeles. "We don't have very many Army installations out in California, or in the Los Angeles area," she said. "So there will be a lot of listening to stories and a lot of meeting and greeting with a whole lot of individuals who want to do great things for the Army." 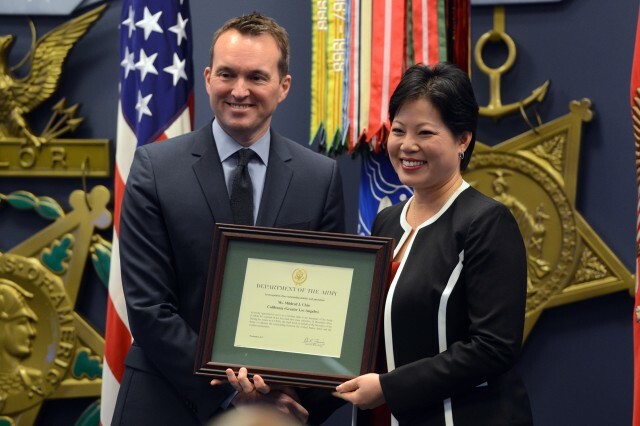 Chin said being part of the CASA program brings her "full circle" with the Army. "It's part of being a Soldier for life," she said. Honoré said as a new CASA, he will work informally in the New Orleans area to build relationships and foster understanding of the Army mission and the needs of Soldiers. 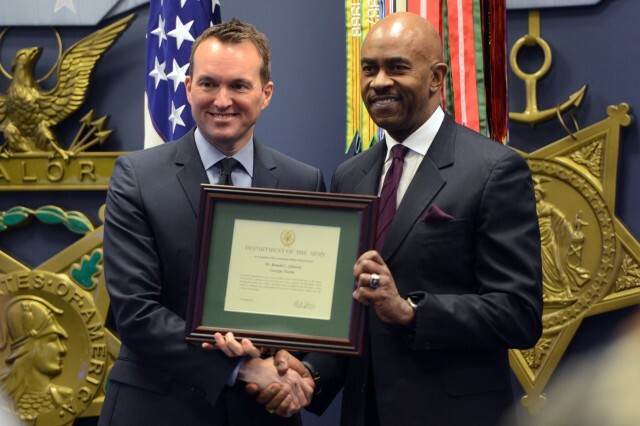 "We sometimes can open doors for recruiters, getting into educational institutions, or represent [the Army] if the local government or education systems would like somebody to come over and speak about the Army and Army roles and missions," he said. 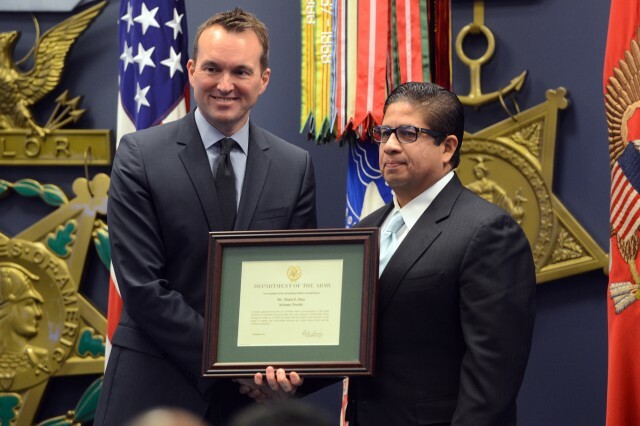 As a CASA, Honoré said he may also, if called upon, represent the Army secretary at military funerals. Concluding his remarks, Fanning thanked the appointees. 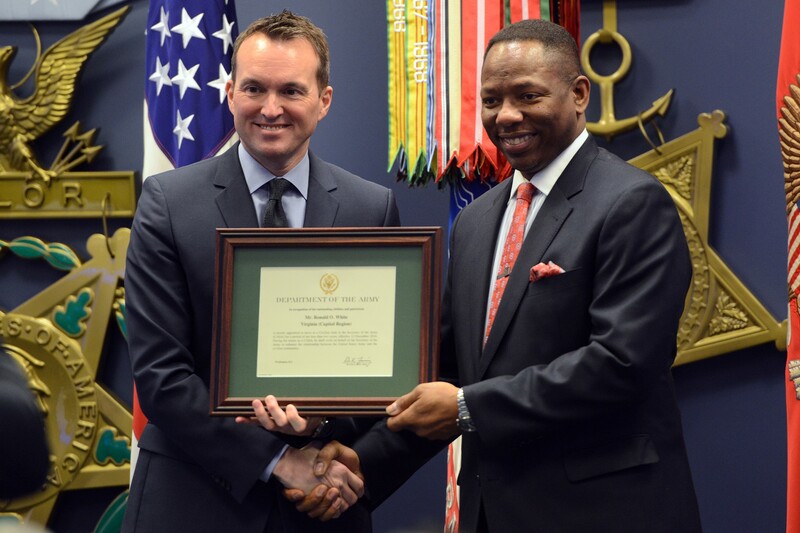 "On behalf of the Army, I want to thank our newest CASAs for making a commitment to our Solders and to our nation's security, for agreeing to give of your time and talent and insights for our nation's future," Fanning said. 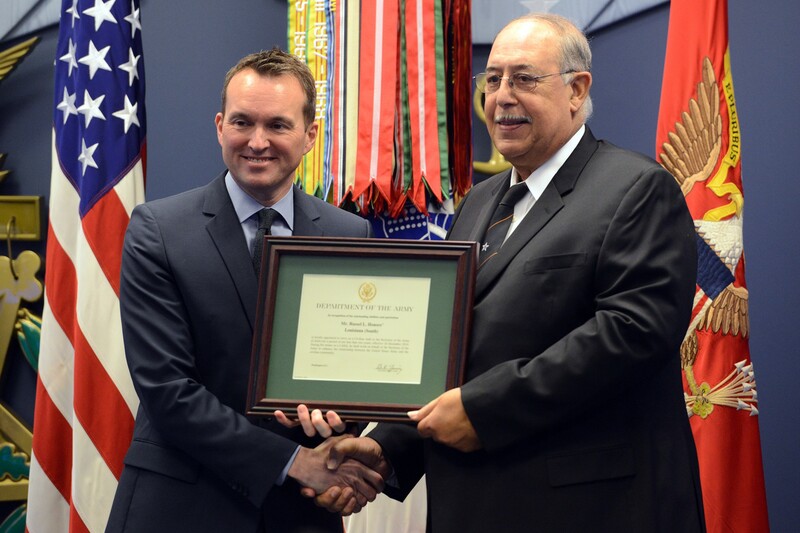 "Thank you for your commitment to renew and strengthen the Army's solemn connection to the American people and communities." -- Mr. Allie L. Braswell Jr., Tampa Bay region, Florida. -- Ms. M. Janet Chin, Los Angeles region, California. -- Mr. Mario E. Diaz, northern region, Arizona. -- Mr. Mario A Guerra, Los Angeles region, California. -- Mr. Russel L. Honoré, southern region, Louisiana. -- Mr. Ronald L. Johnson, northern region, Georgia. -- Dr. Alan F. List, Tampa Bay region, Florida. -- Mr. C. Dana Waterman III, eastern region, Iowa. -- Mr. Ronald O. White, Capital Region, Virginia.